A team of researchers from the University of Southampton’s Optoelectronics Research Centre (ORC) has announced a new way to fabricate a potential challenger to graphene. Graphene, a single layer of carbon atoms in a honeycomb lattice, is increasingly being used in new electronic and mechanical applications, such as transistors, switches and light sources, thanks to the unprecedented properties it offers: very low electrical resistance, high thermal conductivity and mechanically stretchable yet harder than diamond. Now, ORC researchers have developed molybdenum di-sulphide (MoS2), a similar material to graphene that shares many of its properties, including extraordinary electronic conduction and mechanical strength, but made from a metal (in this case molybdenum combined with sulphur). This new class of thin metal/sulphide materials, known as transition metal di-chalcogenides (TMDCs), has become an exciting complimentary material to graphene. However, unlike graphene, TMDCs can also emit light allowing applications, such as photodetectors and light emitting devices, to be manufactured. 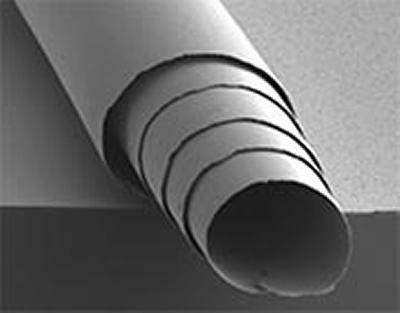 Until recently, fabrication of TMDCs, such as MoS2, has been difficult, as most techniques produce only flakes, typically just a few hundred square microns in area. Dr Huang and his team published their findings in the latest issue of the journal Nanoscale. They are currently working with several UK companies and universities, as well as leading international centres at MIT and Nanyang Technological University (Singapore). The work was funded by the Engineering and Physical Sciences Research Council (EPSRC) through EPSRC Centre for Innovative Manufacturing in Photonics.